Lincoln native Michelle Sipherd is a certified STOTT PILATES® Reformer and Spinning® instructor. She began her career as a nurse before deciding to raise her family fulltime. After the birth of her fourth child, she started personal training sessions with a fitness coach and realized the importance of staying healthy and fit. Her interest in fitness and her personal gains led her to pursue a Pilates reformer certification. In her spare time, Michelle loves spending time with her husband Aaron and their four children, Logan, AJ, Hayley and Cole. She enjoys hiking and hosting family and friends at her home, especially her six sisters and their families. Erin Kottich graduated from the University of Nebraska Medical Center in 2012 with a doctorate of physical therapy. Prior to becoming a physical therapist, Erin spent three years teaching Pilates and coaching volleyball. She is a certified STOTT PILATES ® instructor specializing in Matwork, Reformer, Cadillac, Chairs and Barrels and Injury and Special Populations. Erin combines her Pilates expertise with physical therapy techniques to help clients and patients improve posture and core stability and address injuries and muscular imbalances. 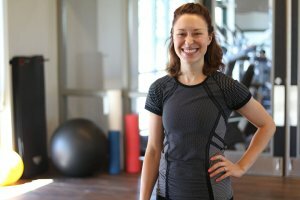 Through Erin’s integrated physical therapy and Pilates approach, she helps physical therapy patients through all stages of rehabilitation, whether treating an injury, chronic pain or post-surgery. She also screens potential Pilates clients prior to starting Pilates instruction to identify weaknesses and dysfunction that can be addressed with training. Erin received her Bachelor of Science degree at the University of South Carolina Upstate in Spartanburg, South Carolina where she played volleyball as a defensive specialist. A Yutan, Nebraska, native, Erin was a three-sport athlete who has always been passionate about health and fitness. Erin and her husband Jonathan have three daughters: Reece, Paisley and Raegan. In her free time, she loves working, spending time with friends and family, exercising and playing volleyball. Omaha native Jessica Marshall is a certified STOTT PILATES® Matwork and Reformer instructor. Jess has always been motivated by a challenge and loves setting and striving to reach new goals. 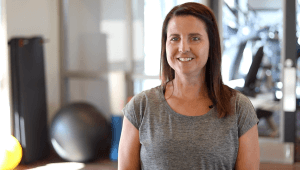 When she experienced an injury and had to stop running, she began doing STOTT PILATES® and was encouraged by the fitness gains she made, which gave her the ability to exercise pain-free again. After taking Pilates for a few years, she pursued her certification to teach, which enables her to share her passion for Pilates with clients of all ages and abilities. She enjoys putting together creative reformer and mat workouts that challenge and help her clients improve injuries, deepen their mind-body connection and improve their overall wellness. Jess works fulltime as the director of communications and membership for the Nebraska Alumni Association. When she’s not working or teaching Pilates, she loves doing Pilates herself, hosting parties for friends and family and planning her next house project. She and her husband Travis enjoy cycling, hiking, traveling and doing any activity they can outdoors. Jessica Schmidt is a STOTT PILATES® Reformer instructor. She has always been passionate about empowering people to be successful in reaching their goals, whether professional or personal. Teaching Pilates allows her to combine those passions as she builds relationships with clients. She loves instructing total body skills that help her clients feel better as they navigate their daily lives. Jessica managed the Buckle for 14 years before taking a break to raise her family. She is currently the coordinator of preschool and the Children’s Ministries’ Service Team at Lincoln Berean Church. Jessica is passionate about being a happy, fun and healthy wife and mother of her three children. In her free time, she enjoys creating and making things for her home and friends.